Glenn Curtiss, a former motorcycle racer and builder of lightweight powerful engines, began assisting in aircraft design in 1907. The June Bug that he and others in the Aerial Experiment Association developed won a number of prizes and races in 1908-1909. In 1916 he and British engineer worked together to design a tractor (front propeller) plane. They modified the design to serve as a military training plane. 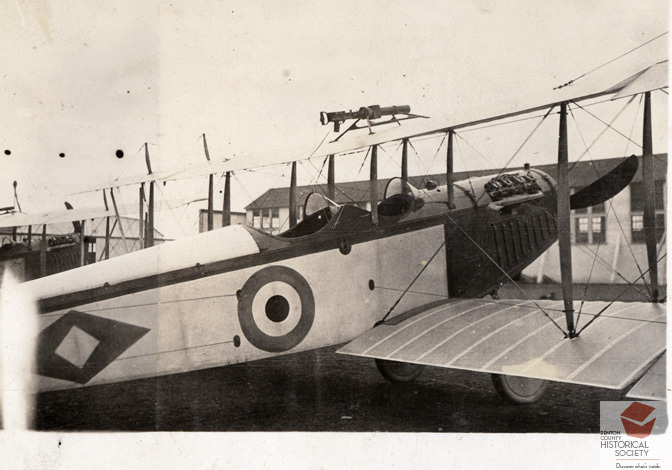 The U. S. Army, which at the start of World War I had few planes and few pilots began purchasing the JN-4s in 1917. By the end of the war, over 2,000 had been produced and had been used to train 95 percent of American and Canadian pilots.